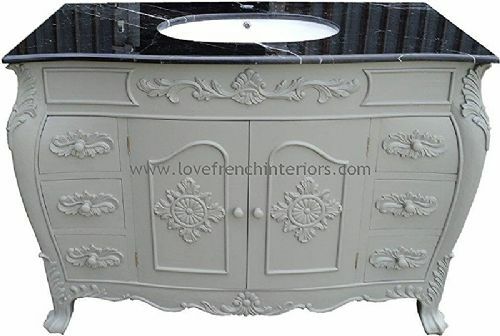 Our large Bespoke Double Bowl French Vanity Unit can be painted to the colour of your choice as all painting is completed by hand in the UK. 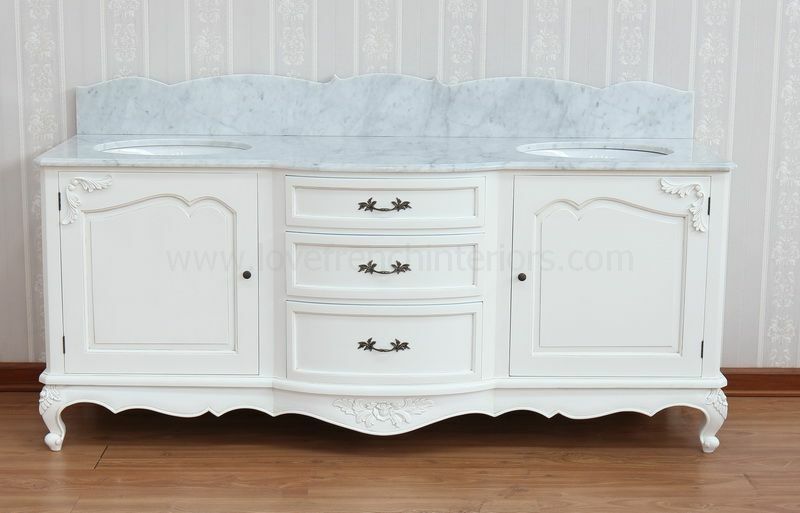 With detailed carvings to the front and sides it has practical bow fronted storage drawers dividing each cupboard. 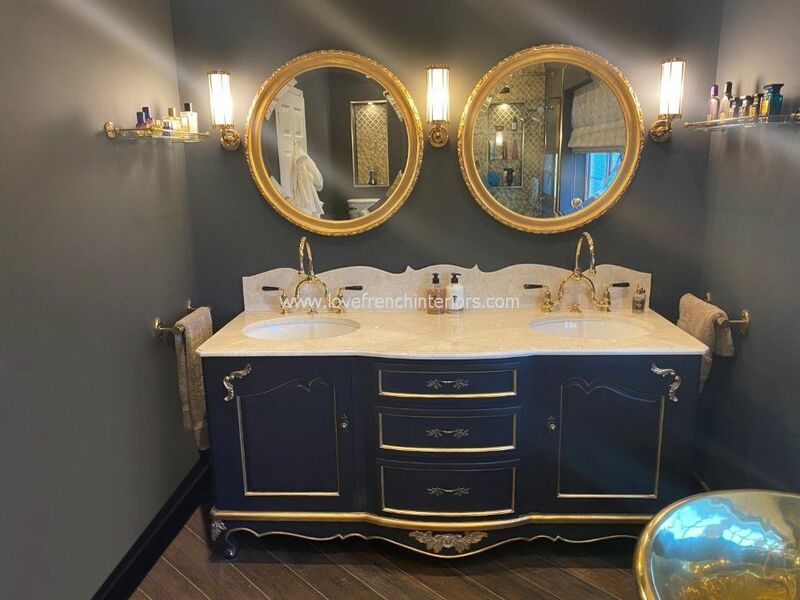 This vanity can also include the two mirrors shown which can be made to various dimensions or it can be supplied without them. The mirror price depends upon the size required. Dimensions in cm: W250 x H86 x D65. Each mirror is 75cm in diameter. 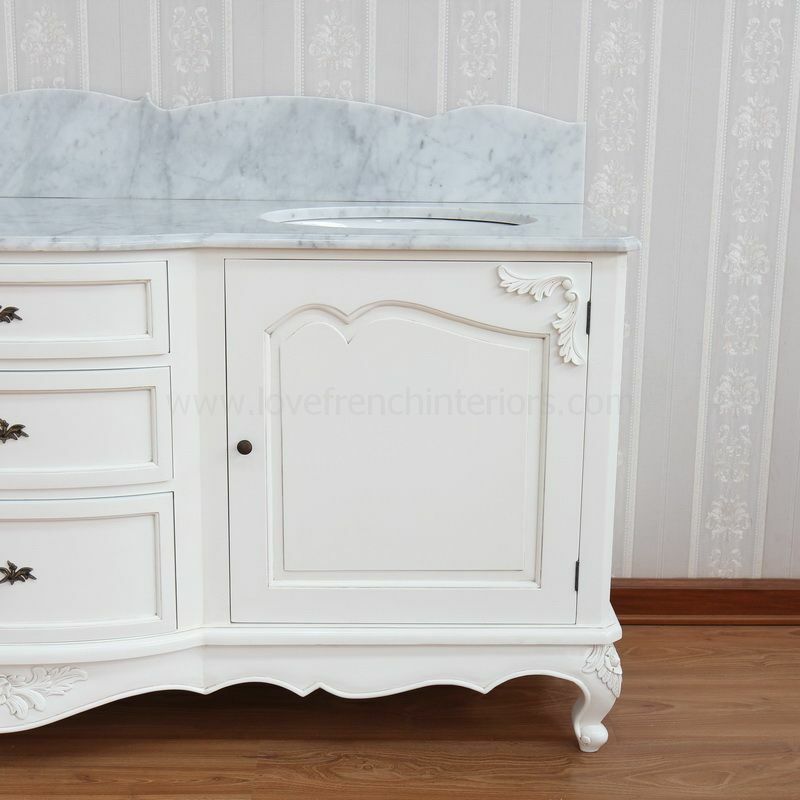 The additional images (in white) show a 200cm wide vanity. Fully customisable - please ask for prices if you require other dimensions. 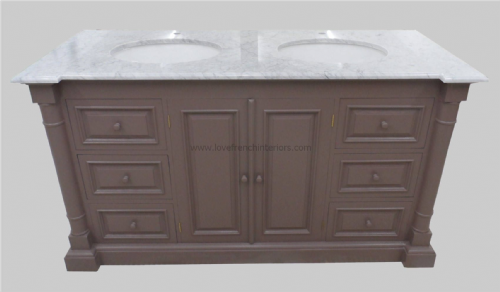 The minimum width with two bowls is 165cm.